Since I’ve been featuring some of the absolute standards of music in recent weeks, I wanted to expand to something off the radar—way off. One of my favorite things in music is when a favorite band covers another favorite band at a concert. Covers are a much underutilized tool in the business today. When I found a full album of them from an artist I’ve always found unique and interesting, I was all in this morning. Natalie McIntyre was born in Canton, Ohio in 1967. Mom was a math teacher and dad left when she was a baby. She and her sister took to music at an early age, and Natalie began piano lessons at age seven. Shortly after, she was riding her bike near her home, and crashed into the curb, taking out a mailbox in the process. 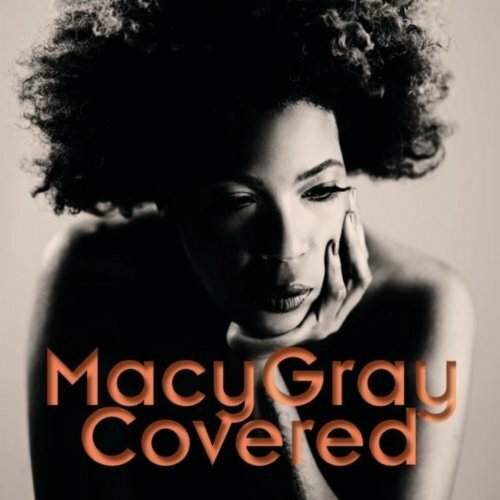 She noticed the name on the box was a man named Macy Gray; a name she would go on to use as her stage name many years later. Having some behavioral issues, Gray would attend various boarding schools as a child, including one that also was home to fellow musician Marilyn Manson (although the two did not know each other). After high school she’d go on to attend USC and begin to write songs for a friend. What started as something to kill free time turned into her starting to sing, getting noticed by a producer and playing gigs around L.A.
Macy’s debut album came out in 1999, resulting in the smash single “I Try” and selling over 7 million copies worldwide. After such amazing initial success, her popularity went way down, and she only sold about a million albums over her next four records. Today I’m focusing on her sixth studio effort, “Covered,” which you can probably guess, is an album of all covers. Released in 2012, the album was mostly viewed as a throwaway by critics because of the lack of original material. Metallica had a similar experience with their release of “Garage Inc.” back in 1998. But in the real world, the album started to generate some buzz after Macy performed Eurythmics cover “Here Comes the Rain Again” on Conan. With artists ranging from Metallica to Radiohead on the record, Macy not only showed some serious chops by covering such a wide variety, but it was some insight to her own fandom, something modern artists don’t always have. Macy Gray has always been somewhat of a guilty pleasure for me. I’m generally a sucker for a unique vocal and Macy has that in spades. Like Bob Dylan and Geddy Lee before her, the voice can be a love it or hate it proposition. For me, knowing within a second that it’s a Macy tune is a positive. Combine that with my previously mentioned love of covers, and this was hard to turn down. Top to bottom, I really love some of the songs here. As is common with modern R&B/hip-hop records, there are a handful of skits (if you’re not familiar with the term, they’re generally a cameo from some celeb where they just talk for 30-60 seconds) accompanying the music, which I tend to find annoying. Otherwise, Gray is able to take songs like “Nothing Else Matters” by Metallica and turn it into a super funky, soulful track. Or a staple on my iPod like “Creep” by Radiohead and make it sound nearly original. While I completely understand why it didn’t sell millions of copies, it’s quite a fun listen. Gray is still making music, producing music and acting on the side. She even made an appearance is the recently made Netflix series “Fuller House.” What some view as a cop out, I view as a tribute – and this is definitely a Macy Gray tribute to some of her favorite artists. Give it some play today and for $5 bucks, discovering a new artist and maybe a handful of classic songs is well worth it. I saw Macy Gray in concert at Wolftrap Amphitheatre in Virginia opening for Santana. As an encore, Santana and Macy Gray came out and covered Purple Rain. It was epic. Thanks for highlighting her covers album! Wow!! That would be an awesome duo. Any major guitar riff featuring a strong vocal would be in their wheelhouse. This is going into my rotation for a while, I truly enjoyed it. Thanks for the comment Stephanie! !